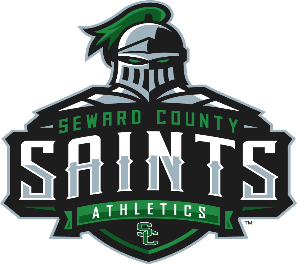 FORT WORTH, TEXAS – The season didn’t start as planned for the Seward County softball team, losing all three games on day one of the Cowtown Classic. The Lady Saints were defeated by Angelina 3-0, Hesston 12-4, and Midland 1-0. Sophomore Monique Ashley (0-1) put together a complete game in the first outing against Angelina, striking out 10 batters and allowing five hits. However, home runs and errors provided Angelina all they needed to come away with an opening game win. Following a scoreless first inning, it appeared the second would be scoreless as well. A two-out single in the top of the second put a runner on third base for Roadrunners. Two pitches later, a passed ball allowed the runner to score, putting the Lady Saints in a 0-1 hole early in the game. The scoring continued in the third inning for Angelina, hitting a leadoff home run, extending the lead to 2-0. That would be all the Roadrunner could muster, as Ashley struck out the following two batters and forced the final out with an infield fly to Jullian Atteberry. The bottom of the third looked promising for the Lady Saints, as Miranda Nester walked and Madeline Owen singled on the next at-bat to push Nester to second base with two outs. However, a strikeout by Sydney Epp ended the inning with a runner in scoring position. The two pitchers dueled for the remainder of the game, until the Roadrunners put another run on board in the top of the seventh with a home run to left field, pushing their lead to 3-0. Owen led the Lady Saints at the plate, going 2-for-3. Seward was unable to get any extra-base hits and left six runners on base in the loss. The Lady Saints were unable to bounce back in the second game, getting run-ruled in five innings 12-4. Freshman Jordan Cordrey (0-1) pitched just 2.2 innings while giving up five hits and six runs. Corrina Porras came in as relief in the second inning, giving up four hits and six runs in 1.1 innings pitched. Seward got on board quickly in the first inning. Jullian Atteberry reached on a leadoff double and Miranda Nester drove her in on the next at-bat with a single to center field. However, the Larks were all over Cordrey, as she gave up singles to the first three batters, leaving the bases loaded with no outs. A double to center field at the next at-bat scored two runs, giving the Larks the 2-1 lead. Two batters later, a ground ball to second drove home the third run of the inning. Neither team could get their bats going in the second inning, but a strong third inning by Hesston pushed their lead to five. With two outs and the bases load, a passed ball allowed the Larks to bring home a run, pushing the score to 4-1. The next batter singled to left field, with the two more runs coming across the plate before the Lady Saints could the final out, making the score 6-1 at the end of the third inning. A leadoff single in the top of the fourth, followed by a steal by Sydney Epp made the inning look promising. However, two groundouts and a strikeout ended any threat that the Lady Saints had. The Larks continued scoring in the bottom of the fourth with a two-run single. An error on a fly ball three batters later pushed two more runs across the plate, making the score 10-1. The Lady Saints needed to score two runs in the fifth to keep the game alive. Following a leadoff popup to first, two straight errors put runners at second a third. A hard ground ball to second by Miranda Nester forced a third straight error, driving home Raelyn Sanchez. Madeline Owen hit a two-run double to right field with the next at-bat, scoring Atteberry and Nester, making the score 10-4. Just as the Larks let the Lady Saints back into the game, Seward allowed Hesston to finish. The Larks got their first two runners on base, in scoring position, with errors, before an error by Sage Harrison allowed a run to come home. The next batter doubled to left field, scoring the game-clinching run, as the Larks defeated the Lady Saints 12-4. Seven of the 12 runs from the Larks were off errors, as the Lady Saints had five for the game. Ashley (0-2) took the circle again in the third game of the day, once again putting together a strong showing, but falling just short of the win. She pitched for 7.2 inning striking out seven and giving up five hits. It was a battle of pitchers as there were just two baserunners in the first three innings. Atteberry was the first Lady Saint to get on base, reaching on a single in the top of the 4th with a hard ground ball to shortstop. Nothing could be made of it, ending the inning with her stuck at first. The fifth inning saw Lexi Manyik reach on a two-out double, but a pop out ot center field ended the scoring threat. In the top of the seventh, Sydney Epp reached on a single to center field and Kaitlin Ammermann put her in scoring position with a sacrifice bunt. However, the inning ended with back-to-back strikeouts. Unable to score any runs in the top of the 8th, Midland took over. A leadoff double put a runner in scoring position. Midland performmed two straight sacrifice bunts to take the win, 1-0. Though it was the most sounds defensive game of the day, with zero errors, the Lady Saints struggled at the plate, striking out 18 times. Atteberry was the lone Lady Saint with multiple hits, ending the game going 2-for-4. The Lady Saints will round out the Cowtown Classic tomorrow with games against Ranger College (9 a.m.) and Cottey College (11 a.m.).